Frea at Creafrea has candy!! Go check it out NOW!! Her blog rocks, she's a fab artist and her candy is delish. What more can you ask for??!! 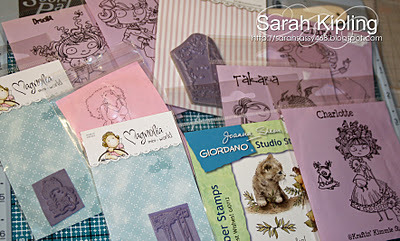 Amy at Scrap This, Save That Blog has blog candy!! It looks really yummy so you should go check it out here. Better hurry it ends November 30th!! Did any of you go shopping on Black Friday?? I did not go. I do 98% of my shopping online. The only stores I enjoy going to in person are scrap book stores and book stores! lol I did get a lot of good deals online and avoided the crowds. And I have 98% of my shopping all done! WOO HOO! Don't forget if you haven't already signed up for my Blog Candy Giveaway be sure and do it. 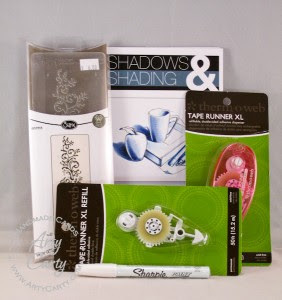 You know you want to win that Crafter's Companion Ultimate Tool!! And "hint hint" there might be a few other goodies given away too. The giveaway ends December 24th. TGIS!! Hope you are having a great Saturday!! 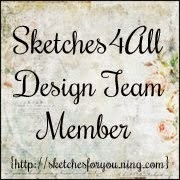 I want to share a wonderful idea and GIVEAWAY with you. And since it is so close to Thanksgiving it is just the most perfect thing! 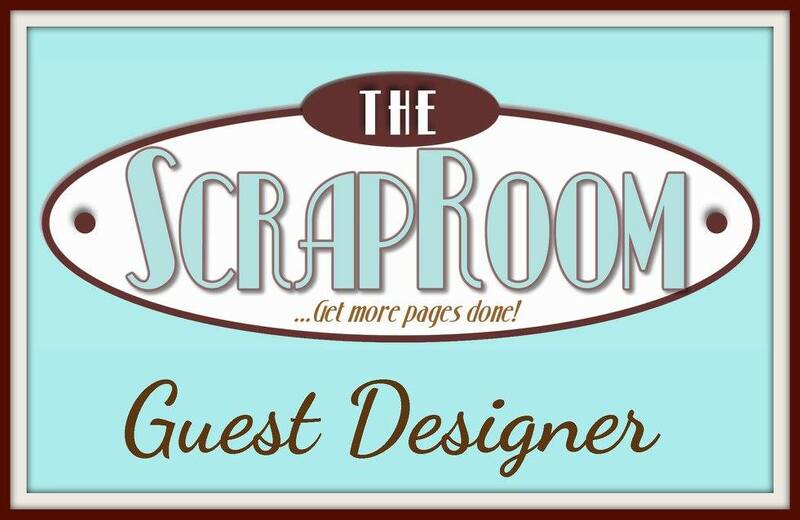 Rita at Let's Embellish is putting out a cool challenge to you and then she will have a giveaway of a $30 gift card to Target or your favorite scrapbook store at the end if you are chosen as the winner. Her wonderful idea is to keep a running list on the sidebar of your blog for 30 days of the things you are thankful for in your life. You are allowed to "cheat" and get caught up since you are already 19 days behind!! LOL The challenge will end on the 30th of November. You need to go to her blog and read more about it here. 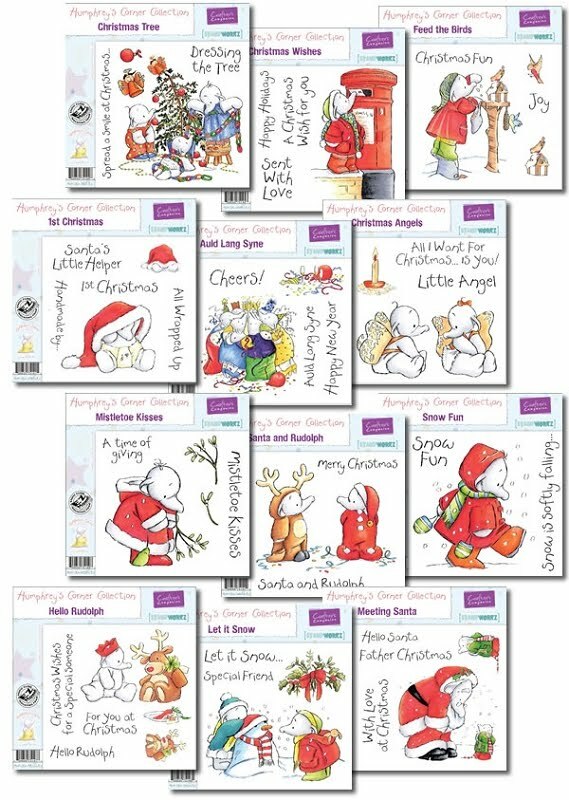 Don't you just love the layout she made from her last years list??!! Gorgeous!! I am going to do it and I am going to have my kids do it too. I just think this is a really good way to have them focus on the positive things in their lives. (and me on mine!) Thanks Rita for the great idea!! I also want to share a Christmas card I made yesterday. Just for fun. I think it is sweet. I used some papers from Recollections -Warm Wishes paper pad that I just got at Micheal's for 40% off. I mostly just used the papers from the pad to make my embellies and the only other thing I used was some Stickles (because...hello it's me!! lol) and the sentiment sticker. It is from a sticker pad from The Paper Studio. And it doesn't stick at all...I had to glue it down...cute but not well made. I'm also in a scrapping mood and I am working on some Christmas trees right now to decorate one of my fireplace mantels. I saw a photo on the cover of Paper Creations Magazine and almost immediately got to work cutting 1/2 inch by 4 inch strips of paper! LOL I am making 3 in graduating sizes from Styrofoam cones and My Minds Eye Signature Christmas paper. I will give you a little sneak...lol It is a little slow going but I think they will turn out nice. I will hopefully get them done today and maybe show them to you tomorrow. We have been cleaning around our house today. Not sure what is motivating us but it sure has been a busy morning. My dog, Sophie is still doing well. Thanks for all the well wishes! She is old so she mostly just sleeps but she has been eating and keeping it in her belly so that is a great thing!! She has been a blessing in my life. She is definitely going on my "thankful" list!! She how awesome this Challenge of Rita's is?? It is already making me think in positives!!!!! Go join in too. Or don't ....better odds for me to win!!!! 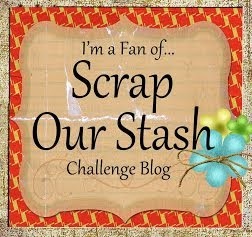 LOL (jk) Her blog is great and she is so talented you will love visiting even if you don't join in the challenge. 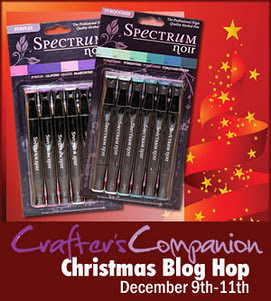 And FINALLY the announcement of my winners for the 3 prizes on the 12 Days of Christmas Blog Candy Giveaway. 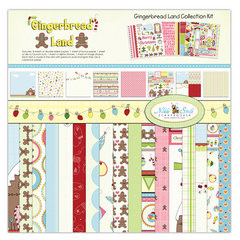 And the last announcement is for the RAK I am giving to a random winner chosen from the Sketches4all Gingerbread Land Blog Hop. Thanks for stopping by my blog today. Enjoy the rest of your day!! I am trying to keep busy so I will not worry about my dog until I can call and find out how she is at 10:30am. So I am cleaning off my scrap desk in hopes that I will be able to scrap a lot this weekend. I am actually in the mood!! Which hasn't been the case lately. My hubby just came in and put in his order for Christmas cards to give to his employees so I guess I have "permission to scrap"!! LOL Yippee! 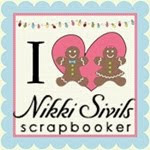 Don't forget today is the last day to enter my 12 Days of Christmas Blog Candy Giveaway! Winners will (hopefully) be announced tomorrow. And then as soon as the winners email me their email addresses I will shoot the candy off to them! Go ENTER now!!!! Hurry!!!! You guys know how much I love Crafter's Companion and being on their Design Team. (I wish more of you would go check out their monthly Challenges because they give away the best prizes!!) I have a little news.......Psssstt....coming in December there will be something wonderful to talk about... I can't say what yet but you are definitely going to want to participate!! BELIEVE ME!! 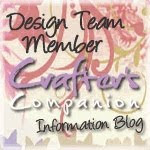 Well, here is the easel card I made for the Crafter's Companion Informational Blog this week. 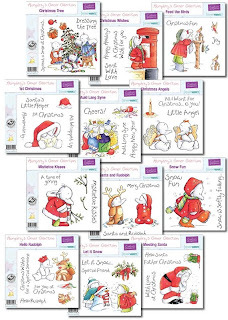 I used one of the new Christmas Humphrey Stamp Sets - Auld Lang Syne. This is such a versatile stamp. 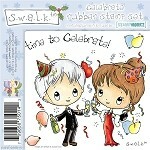 You could use it for any celebration card like birthdays or congratulations. Or use it as a New Years card like I did. 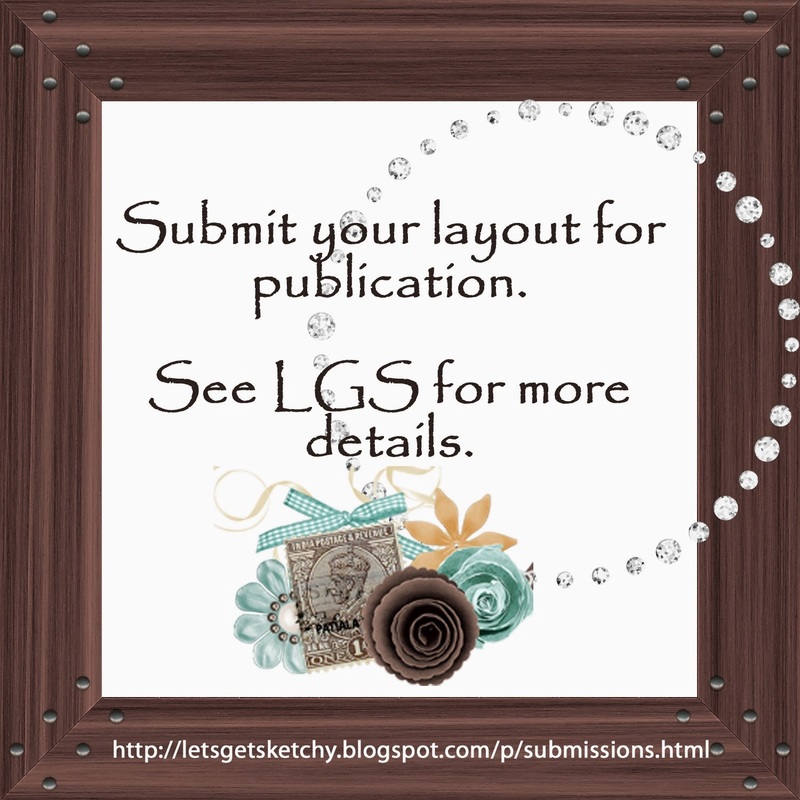 I was inspired to make the banner by a card by Bev Rochester I saw in a magazine . 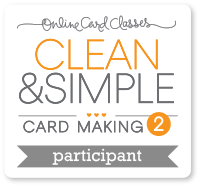 It just seemed to add such a fun touch to her card I thought it would be a perfect addition to mine! 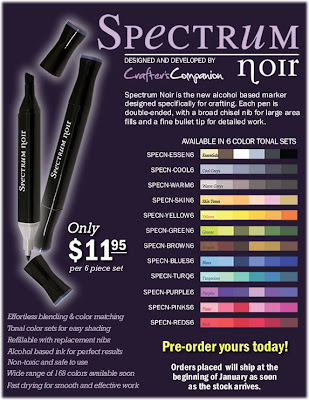 I colored the image with my new Spectrum Noir alcohol ink markers that are coming soon from Crafter's Companion. (they are taking pre-orders NOW!) Can I just say Oh My GOSH!! They are comparable to my Copics and a fraction of the cost!! You will definitely want to own some for your very own if you color. 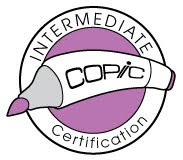 Especially since I hear that Copic is increasing their cost once again! And don't get me wrong I love my Copics but if you can get something equal for so much less...why buy them?? 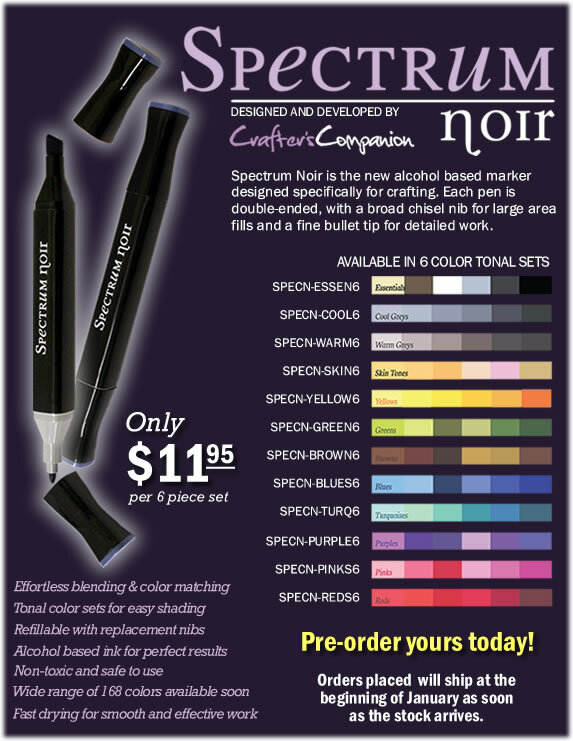 They are on pre-sale right now at Crafter's Companion and you can get a package of 6 markers for $11.95!!!!!! That is less than $2 a marker! See what I mean!?! AMAZING! I wanted this card to be bright and happy since I think this image is so upbeat and fun so I used bright yellow and green with some red. The ribbon and bling are from my stash. And I finished it off with some Crystal Stickles to add some sparkle. Okay...good news...it has taken me so long to write this blog post that I made it to the time to call the vet. I just called and she is doing much better. The blood work looks pretty good so she can go home later today. We still need to give her medication and a bland diet for a bit but if she keeps getting better than it was just something minor. You always worry about something major especially when they are getting older. So cross your fingers that she keeps getting better... I'm really relieved. Now I can say Happy Friday and really mean it!! Have a wonderful weekend!! Thanks for stopping by my blog today.